When it comes to positioning your business, the style and quality of photos that you use will immediately influence how people perceive your brand and your products or services. Getting it wrong just isn't an option. Photographers aren’t mind readers. Explain the purpose of the photo shoot, key shots you need, what style of photography you’re looking for and where the photos are going to used. If you want a certain thing photographed in a specific way, make sure you say so. Composing shots, organising people to be photographed and sorting equipment all takes time, so if you can only hire a photographer for a brief period, restrict the number of photos that you request. 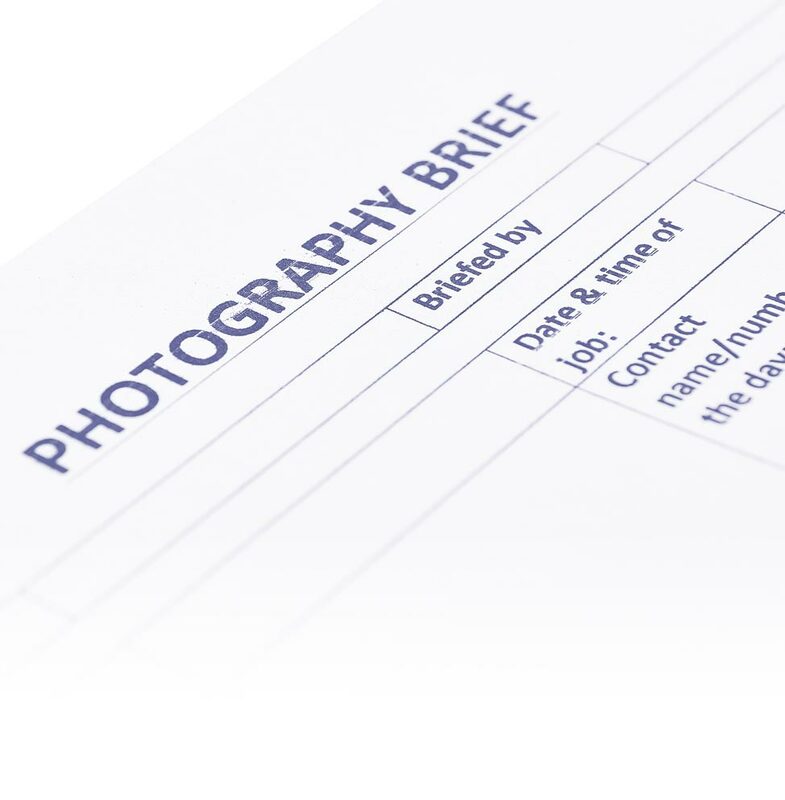 Send your brief as early as possible so that the photographer has time to come back and question anything they are unsure of. Also, if you are not going to be there in person, ensure both the photographer and the shoot location have each other’s contact details in case of last minute problems.